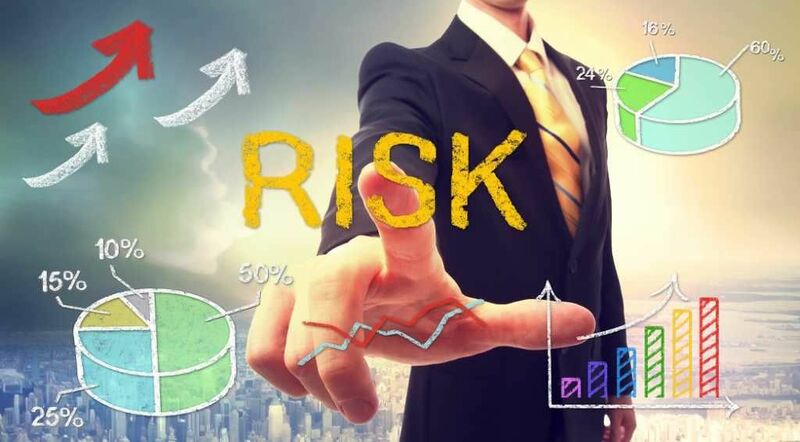 In investing, financial risk is the variability of the actual returnRate of ReturnThe Rate of Return (ROR) is the gain or loss of an investment over a period of time copmared to the initial cost of the investment expressed as a percentage. This guide teaches the most common formulas for calculating different types of rates of returns including total return, annualized return, ROI, ROA, ROE, IRR generated by an investment relative to what the investor expected. As an example, financial risk would be a stockStockWhat is a stock? An individual who owns stock in a company is called a shareholder and is eligible to claim part of the company’s residual assets and earnings (should the company ever be dissolved). The terms "stock", "shares", and "equity" are used interchangeably. that is expected to return 5% but instead only returns 2%. Only risk-free assetsTypes of AssetsCommon types of assets include: current, non-current, physical, intangible, operating and non-operating. Correctly identifying and classifying the types of assets is critical to the survival of a company, specifically its solvency and risk. An asset is a resource controlled by a company which future economic benefit give returns perfectly equal to expected returns. The risks of an asset are measured by its variance and standard deviation. Project risk – The risks that a firm might’ve misjudged its product demand. Competitive risk – The risks arising from the impact of the competition. Sector risk – Risks affecting the entire sector but restricted to that sector. Market risk is felt, in varying degrees by sector, throughout the economy. Any large-scale investment risks are considered market risks. Putting all of one’s capital into a single investment exposes the entire portfolio to the financial risk of that investment. Diversifying, or allocating capital across different assets, helps reduce exposure to firm-specific risk. This concept calls into question the issue of “putting all eggs (capital) into one basket (investment).” Dropping the one basket breaks all the eggs. Putting eggs into multiple different baskets reduces the chance of breaking all the eggs. The concept is the same in investing. During economic downturns, only a small number of firms will see large deviations in returns. Since firm-specific risks can be diversified away, they are also known as diversifiable risks. Holding an appropriate number of assets within a portfolio, with all the firm-specific risks diversified away, does not make a portfolio risk-free. The portfolio is still affected by market risks or non-diversifiable/systematic/non-specific risks. Firm-specific risk is interchangeably used with unsystematic risk, specific risk, and diversifiable risk. Because CAPM is the most commonly used method among the three, it will be the focus of these articles.